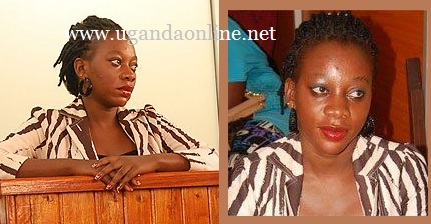 Shanita Namuyimbwa aka BAD Black was not produced before the court of appeal yesterday after she failed to raise Shs100m. This was meant to see her out of prison temporarily to seek medication for her breasts that are threatening to leak. Instead, Shanita was in the Magistrates court at City Hall trying to deal with the traffic offence case. Court gave them an option to negotiate out of court failure of which court would proceed and hear the matter, however, by yesterday the two parties had not moved a step. Bad Black had Shs11bn in a span of 9months before all this came to a complete stop. In July 2012, the anti-corruption court found her guilty of embezzlement and sentenced her to four years in jail. It was however ruled that she did not have to refund the money to Greenhalgh but she serves the sentence. Shs100m is just 0.1 of a billion and the mere fact that she can't raise this much to walk to freedom has left many who knew her just around this time last year in shock. What Bad Black needs right now is not frequent visits to Luzira by her pals especially the gal brigade but to be seen at least making an attempt to fundraise some funds. Meanwhile, on the day she learnt that she had been granted bail on condition that she parts with Shs100m, she told some snoops that she is now a born again and at a level of a pastor though as she was still narrating her story, her parents came around and she changed the topic.